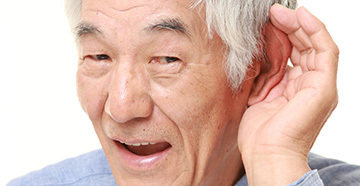 A BAHA is a device that can help people with certain types of hearing loss hear better. This device is meant for those with single-sided deafness, conductive, and mixed hearing losses. Often, people who have these conditions are unable to use traditional hearing aids or they have had limited success with them. A BAHA is a bone-anchored electronic device. The device has an external and an internal component. The external portion is known as the processor and is worn above and behind one or both ears. The internal portion couples the processor to the skull. A BAHA works through the process of bone conduction, using vibrations to send sound through the bony skull to the inner ear structure known as the cochlea. The brain then recognizes the sounds in the usual manner. Bone conduction may seem complicated, but this type of hearing can easily be demonstrated during the hearing evaluation process. Here is the actual process, in detail: the BAHA processor picks up sounds in the environment, converts them into an electrical signal, processes the sound, converts it into mechanical vibrations, sends this through the internal (implanted) portion, and these sounds can then be heard by the patient. The BAHA is easy for the user to operate. It has many of the same components as traditional hearing aids. Recently, accessories became available to make the use of cellphones, wireless devices, music, etc., more accessible to the wearer. Good for use by patients who are unable to use traditional hearing aids. BAHA is covered by most insurance plans (hearing aids are often not covered).